Since when did a simple snow day become the bombcyclocalypse with temperatures colder than Mars? (Oh, and Mars is like -20 degrees!) This can mean only one thing — we are in the kitchen cooking up comfort food to feed our bellies and our souls. We’ve been in the kitchen gleaning recipes from Shalane Flanagan and Elyse Kopecky’s cookbook, Run Fast. Eat Slow. — Nourishing Recipes for Athletes. Why we love this cookbook? Written by two women who exhibit a passion to bring whole, nutritious and delicious food to your table. Breaks through alarming diet trends and endless health-claiming food products to combat issues with female athletes–including infertility. Celebration of whole food without obsession over carbs versus protein or the latest food trend. Recipes have been tested for sustained recovery and nutrition. What’s more, each recipe seeks to minimize inflammation, digestive distress, and toxins. Save time by using raw beets (instead of baked). Puree them in a high-speed blender. 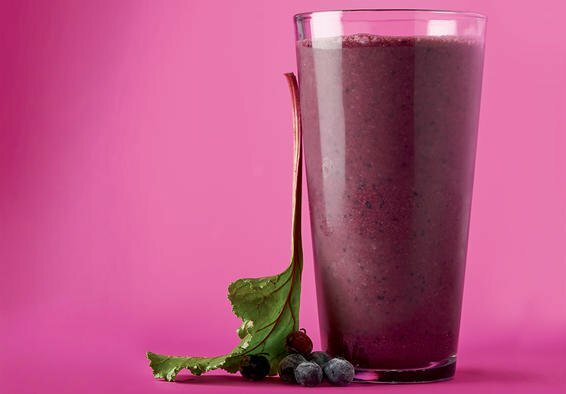 Place the beet, blueberries, banana, milk, coconut water, ginger, and almond butter in a blender. Blend on high speed for several minutes until smooth. Makes 2 servings. These muffins are packed full of veggies, and are sweetened with maple syrup instead of refined sugar. In addition, almond flour and whole-grain oats replace nutrient-stripped white flour. 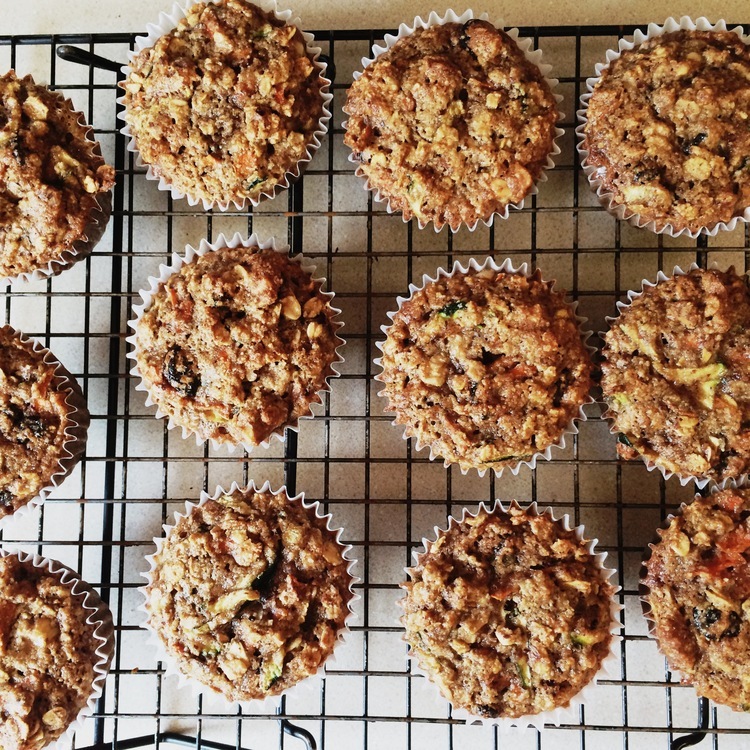 These are Shalane’s go-to muffins—nourishing and sweetly satisfying for an easy grab-n-run breakfast. And don’t fear the butter. Fueling up with healthy fats is a great way to start your day. Fat helps transport important vitamins throughout your hardworking body and will help keep you satisfied longer. As a bonus, these muffins are gluten-free. Arrange a rack in the center of the oven and preheat the oven to 350°F. Line a 12-cup standard muffin tin with paper muffin cups. In a large bowl, combine the almond meal, oats, walnuts, currants or raisins, if using, cinnamon, nutmeg, baking soda, and salt. In a separate bowl, mix together the eggs, zucchini, carrot, butter, maple syrup, and vanilla. Add the wet ingredients to the dry ingredients, mixing until just combined. Spoon the batter into the muffin cups filling each to the brim. Bake until the muffins are nicely browned on top and a toothpick inserted in the center of a muffin comes out clean, about 25 to 35 minutes. 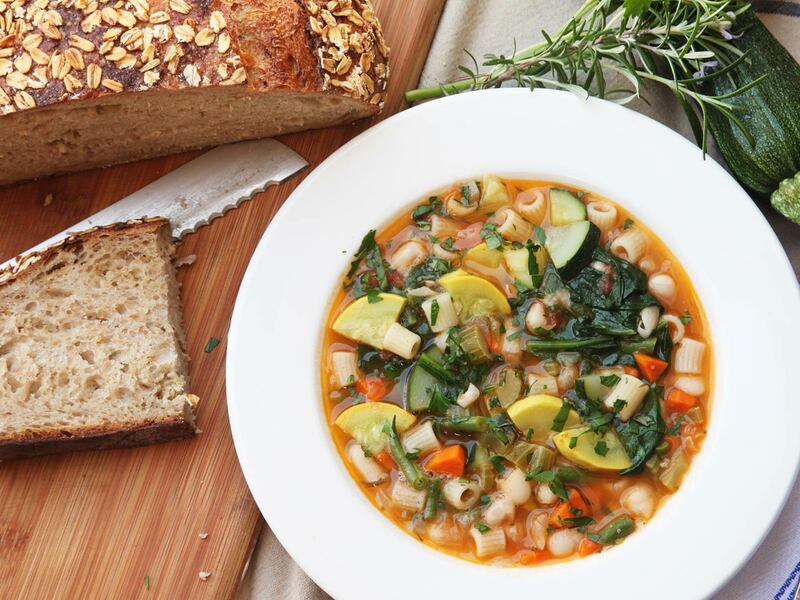 Minestrone, in all its veggie-loaded glory, is one of our favorites. This soup can be made with whatever veggies, beans, and meat you have on hand. Option to make gluten free-substitute regular pasta for rice, quinoa or chick pea variations. To make vegetarian, skip the sausage and season with additional oregano, garlic and crushed red pepper. Heat a large heavy-bottomed pot over medium-high heat. Add the sausage and cook, using a wooden spoon to break apart the sausage, until the meat is browned. Usually about 3 minutes. Transfer the sausage to a small bowl and set aside. Pour of all but a tablespoon of the rendered fat. Add the celery, carrots, onion, garlic, oregano, and sea salt and cook, stirring occasionally, until the vegetables are soft. Add the broth, zucchini, tomatoes, beans, cooked sausage and the remaining salt — bring to boil. Reduce heat and simmer, covered, 25 to 30 minutes. Meanwhile, cook the past in a separate pot according to directions on package. Place a small serving of past in each soup bowl. Lade the soup on top and sprinkle with Parmesan cheese. 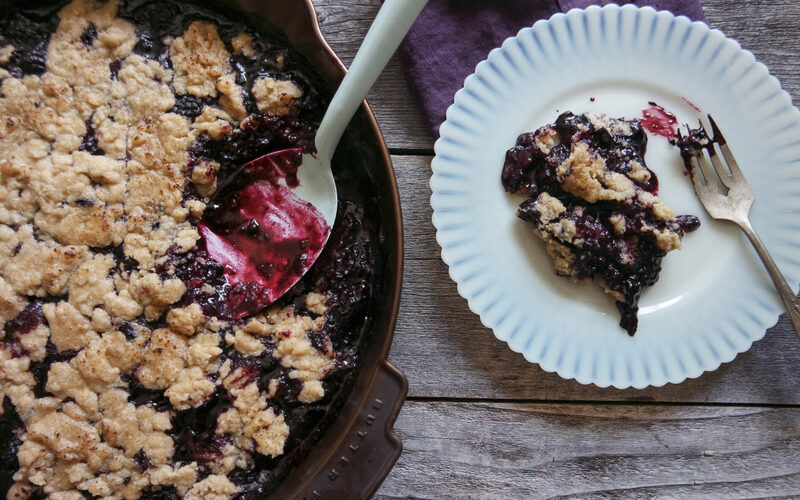 This wholesome recipe is free of cane sugar, flour and dairy. Preheat the oven to 400F. Place an 8×8-inch baking dish aside. In a large bowl, toss together the strawberries, blueberries, lemon juice and tapioca four. Spread the mixture in the baking dish. In the same bowl, whisk together the oats, almond meal, nuts, cinnamon, ginger and salt. Add the maple syrup and oil — stir until combined. Spread the oat topping evenly over the berry mixture. Place in the center of the oven. Bake until the topping is golden brown and the fruit is bubbling – 25 to 30 minutes. The shortest and darkest day of the year marks the Winter Solstice, and also a rebirth of the Sun. The earth begins her tilt back, signifying the end of cycle, before we emerge in Spring. The shortest day of the year signifies a return to light, rebirth and a chance to start new. 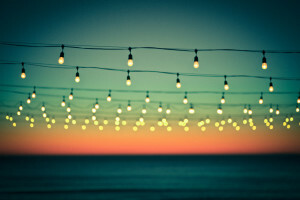 We are invited to set new intentions or perhaps realign with our goals and ideals currently in place. As we set this path, it lights the way through the darkness of winter, and leads us closer to our bright future. An intention is a stepping stone, a starting point of a dream, a power that makes our hearts beat and our souls soar. Turn inward today, and stoke your inner fire and light. Harness the power of what remains in 2017 and lean into the darkness — lean into your significant life. Try this mediation from the Journey Junkie to awaken to your best Self in the Winter Solstice. We saw a shift in the definition of “wellness” in 2017. Turning far from treadmill workouts and restrictive diets. Rather, leaning into habits that benefit your mind, body and soul. Wellness is bigger, better and bolder, with an emphasis on healing. We’re excited that wellness is more accessible than ever and this year’s trends prove that big corporations and consumer demand are lifting quality, sustainability and research. We’ve handpicked a few you will want to watch. Activated Charcoal. 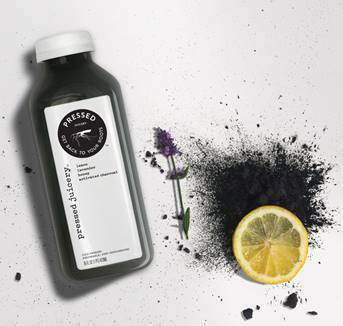 Showing up in drinks, facial serums, and even pill form, activated charcoal is one of the oldest health remedies taking on new form. Activated charcoal acts like a magnet for organic toxins, claiming to purify, whiten, and cleanse. But be sure to seek activated charcoal from a sustainable source like coconut shells or identified wood species like Binchotan, made fro Japanese Ubame oak. And remember, activated charcoal powder is dangerous to inhale. Mind Body Green shares more. Introducing Moringa. The super green more nutritious than kale, moringa is known as the miracle tree, or Moringa Oleifera. Rich in in iron, calcium, vitamins, and antioxidants, moringa is a complete plant protein containing all 9 essential amino acids. With a consistency and taste similar to matcha, it’s simple to add to any meal. FemTech. Female focused technology is on the rise, giving women more power to influence their own health and wellness. Primarily, FemTech is addressing fertility solutions, period-tracking apps, pregnancy and nursing care, women’s sexual wellness, and reproductive system health care. Gut Health. Everyone is talking about gut health and we are tuning into the conversation. Gut health, or digestive health, remains a big driver for new opportunities and is a fragmented market, with more willing to try. Research shows gut health is directly linked to overall brain function, including improved mental health and a decrease in diseases like cancer and Alzheimer’s. The conversation for 2018 turns to prebiotics, foods that contain the fiber that nourishes beneficial bacteria in the gut, like chicory root, apples, and Jerusalem artichokes. Dive deeper. Women’s CoWorking Clubs. This past year, we’ve witnessed worldwide women’s marches that exploded with BIG LOVE, absorbing the once accepted Mean Girl vibes. This shift has given rise to dude-free, co-working spaces where collaboration is in, and competition is out. The vision? Take a look at WMN Space, created by Paula Mallis, a doula and women’s circle facilitator. Breathwork. Mindfulness, meditation and yoga are booming. We understand that stressed, anxious, and goal-oriented people are looking for ways to balance, respond to technology’s unrelenting poke, and improve their relationship with their own minds and bodies. Breath is the quickest way to connect to ourselves and provides supernatural benefits. Edible Essential Oils. 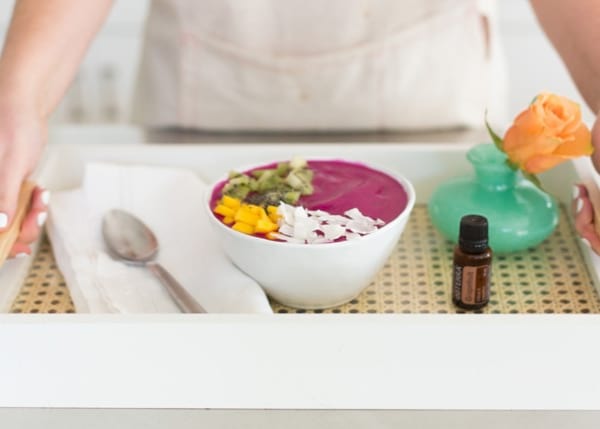 According to Pinterest, the saves for essential oil food recipes are up 689 percent! These delicious smelling oils aren’t just heaven scent — get it –they are great in creative recipes. Just be sure oils are safe for ingestion. Turning from Tech. Unplug. Disconnect. Shut down. Technology that was meant to simplify our lives has led us away from the real world and into a false reality. Need we say more. Lunar Everything. What was once taboo has become mainstream. Conversations about Mercury in Retrograde are common in the corner cafe over match green tea. Just like horoscopes, expect monthly Moon Reports to grow in popularity, as more people consult the planet as a guide for personal growth. New Superfoods. 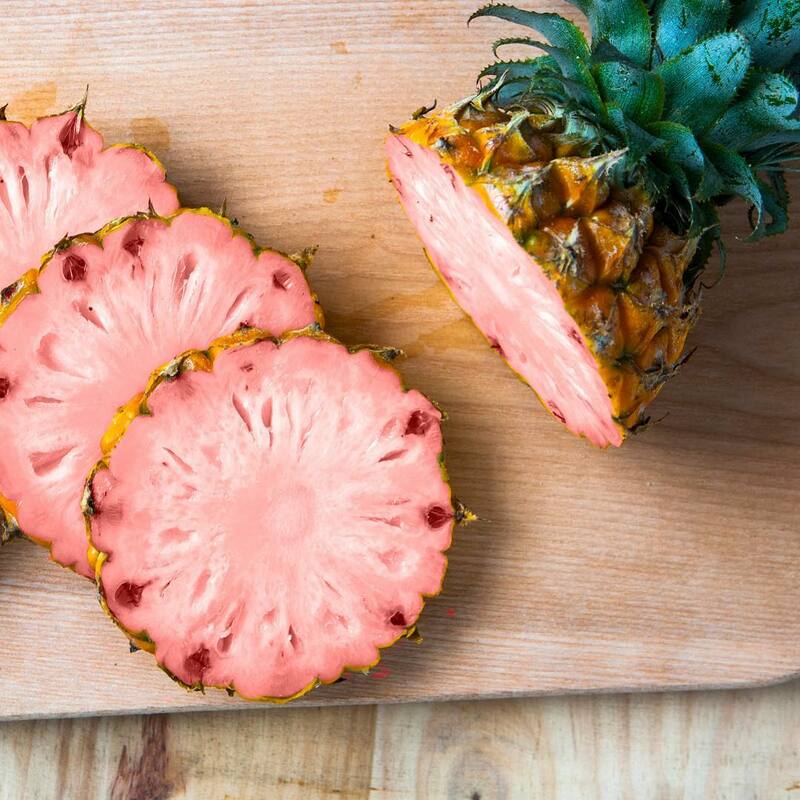 Move over kale, quinoa, and coconut water. Make way for new superfoods that provide a powerful punch of vitamins and nutrients. A few making noise: kelp, pink pineapples, purple yams, peas. So there you have it! Now bring on 2018. Can you feel it already? The tightness in your shoulders? The shortness of breath? The pit in your stomach when you think about your long list of things to do as we lean into December? We feel it-the inevitable busyness that comes with the holiday season. We feel it-the signals within our bodies telling us to slow down. This time of year can set us on a slow, destructive path if we don’t listen and pay attention. We must listen, pay attention and be deliberate with how we take care of ourselves. Prevent illness by not running your immune system into the ground. Prevent irritability by not being tightly wound. Better process those sweet treats that come with holiday parties by paying attention to your gut. Sounds great, right? But how do we fit it all in? Easy: We change how we think about self-care. We make it a priority. We deliberately take time to regenerate. Meditate. We know you’ve heard this a million times, but you can do this one minute meditation by Spirit Junkie, Gabby Bernstein, before bed three nights a week. We think you can spare three minutes! Look at your calendar and mark one hour (any time during the week!) each week where you practice yoga. Do not let anything else interrupt you and listen to what your body, mind and soul crave. Do I need to move quickly? Do I need to slow down? Do I need to lay in savasana? Don’t skimp on your supplements and vitamins! Take your daily and support with supplements that add in vegetables, fruits and berries. We prefer Juice Plus to keep us balanced. Set a bedtime. This one might be little tricky with gatherings to attend, but we promise it makes a difference. 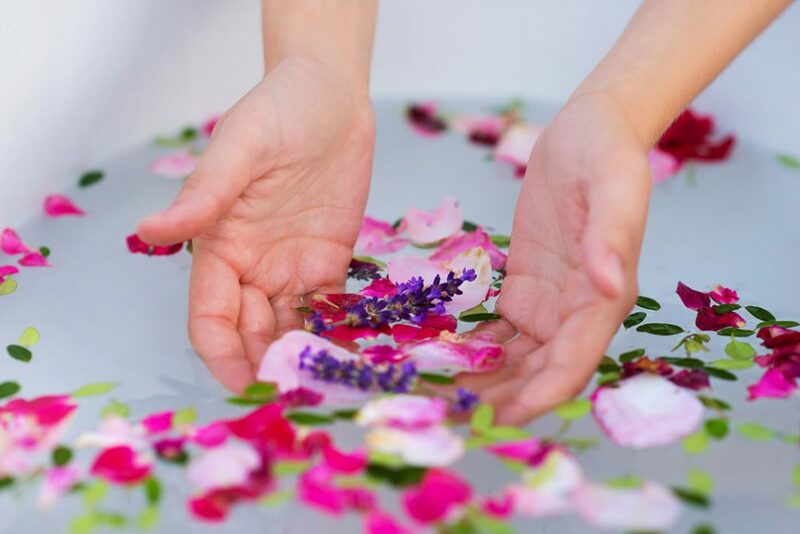 Draw a warm bath and add essential oils. We prefer doTERRA and this simple anxiety buster: Frankincense – 10 drops, Lavender – 5 drops, Bergamot – 5 drops. Now’s the time to create a Self Care Ritual and declare your physical, mental and spiritual health as important as that family gathering your adding to your calendar. The Thunder Moon is this Sunday, July 9th, which marks the seventh full moon on the 2017 lunar calendar, and the first full Moon of the summer season in the northern hemisphere. When the moon is opposing the Sun in the sky, we call it Full. Oppositions bring about our awareness, and feeling the tension of balance or imbalance. This often feels like a struggle between two things or energies, but this is simply polarization of one shared field of energy. The full moon is an invitation to let go of things that no longer serve us. We harness it’s energy to empower ourselves to take responsibility, to release anything that blocks our path to truth. Are there goals you keep striving for that no longer make sense? Are you judging yourself harshly and attracting that same judgment from those around you? Are you in charge of yourself, or are you awaiting permission and direction from some other place? Use this time to account for yourself. Sometimes giving up a goal or ambition is the best choice, allowing you to make room for something new, more aligned with your heart and purpose. This will be a wonderful moon cycle to focus on abundance, career goals, and expanding on your dreams! Here are affirmations to celebrate the Thunder Moon! We bathe in the light of the Full Moon; to see inside ourselves with courage. Listening and feeling with heightened sensitivity, we make ourselves available for new experiences. We willingly surrender anything that no longer serves our greatest good, detoxifying ourselves on all levels. We equally honor feelings and emotions, along with our drive for achievement and manifestation. 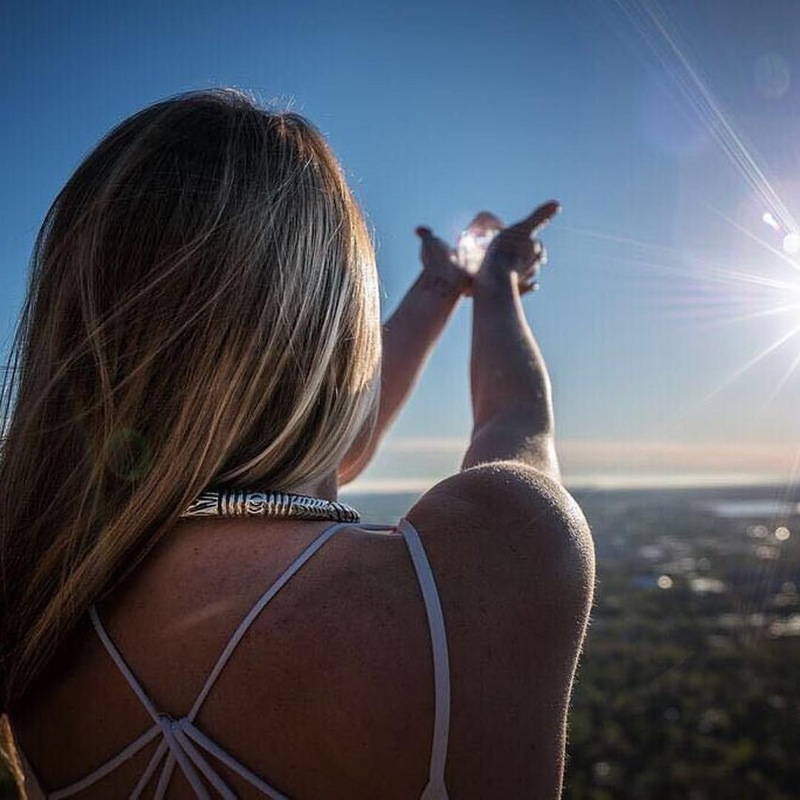 By the power of the Moon and the Sun, we embody more of our rue shining selves, sharing our light with the Universe. Here are some fun facts about the 2017 thunder moon, when it will be visible, how it got its name, and other nicknames for the July full moon. Fall has arrived on the coast in the Northeast. This morning, we traded flip flops for a pair of boots, and we are leaning into all things pumpkin spice. 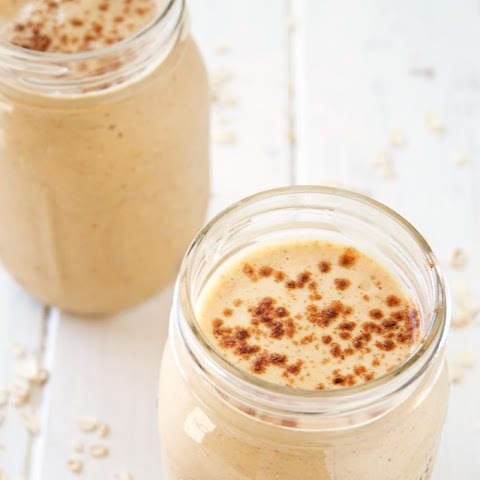 This Pumpkin Banana Smoothie makes a great grab and go breakfast, high in protein and fiber. Pumpkin is linked to better sleep,vision and lower blood pressure with the benefit of vitamin A. We add whole cloves and a generous amount of cinnamon to fight inflammation, improve digestion and heart health. Skip the Greek Yogurt to keep the smoothie creamy, and without tasting tart or bitter. Place all ingredients into a blender or food processor and blend until smooth. Add more milk to thin and/or more ice to thicken. Enjoy right away with a little sprinkle of extra cinnamon if desired. It’s that time of year again. The one that has us feeling light and airy, but craving a little more dark and cozy. That time of year when we seek balance, purpose and intention. It always occurs on September 22, 23 ,or 24th. The entire world experiences a moment of balance and equanimity as the sun shines directly on the equator. Fall Equinox is the point of balance between Summer & Winter Solstices – the longest and shortest days of the year. With the coming days shifting from light to dark, the Fall Equinox is the time to draw inward, dive deep into yourself, and refocus on what’s important and meaningful. It provides an opportunity to reflect on the year thus far and set positive intentions for the rest of the year ahead. This is the time to celebrate new beginnings. To celebrate, consider the following activities to help cultivate a sense of awareness, focus, and most importantly – balance. Start a mantra meditation with balance as the key focus. Take a stab at walking meditation. Perform a letting go ritual by using what’s found in nature – release them into a body of water to be washed away. Seek short moments of meditation. Create a dream catcher with natural fall elements to capture your intentions. A guided journal session, with a set series of questions, will smooth the transition to Fall. Grab your journal, carve out quiet time and consider these questions that will draw forth emotions, thoughts and new ideas. Make sure your journal is one you come back to often to keep the fire stoked and burning. What have you achieved this year? Who has helped you with these achievements? How can you thank them? What positive habits have you cultivated? What negative habits have you cultivated? How can you invite in more positive experiences and release the negative experiences? Where do you need more balance? How can you transition into a state of balance? What do you want to accomplish as the year ends? This pivotal moment of balance is an opportunity for you to practice and find a moment of reflection. Explore postures that allow you to bow down and find that space within yourself where you can go beneath the surface. A few to try. So, go ahead yogis. Bow down to Mother nature, shift your perspective and embrace the Fall Equinox. 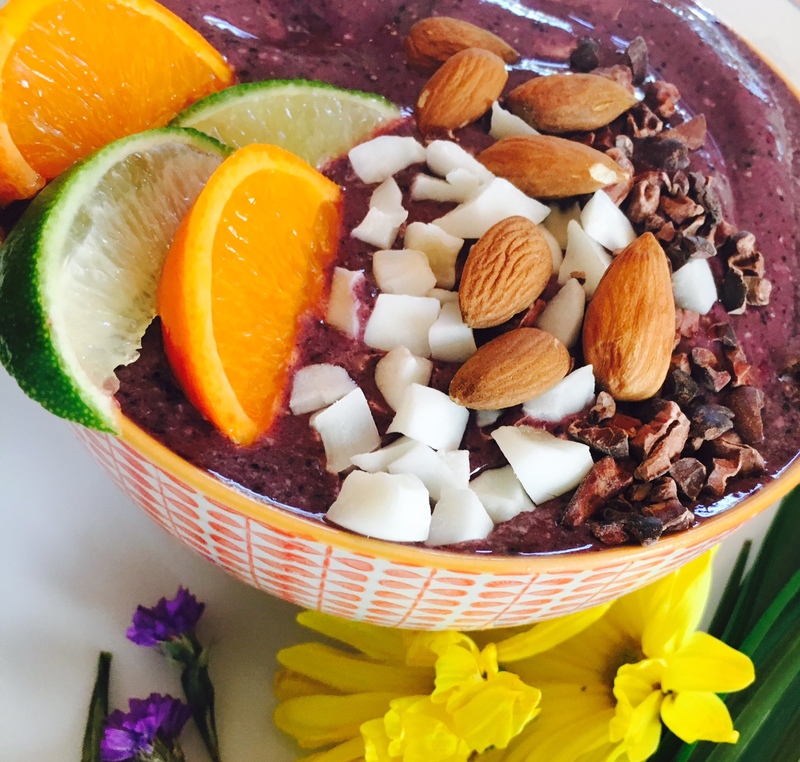 An acai bowl is a delicious way to start your day with clean energy and is super easy to make. This smoothie bowl is intended for those of us seeking an endless summer, and not quite ready to embrace fall. The addition of citrus makes this recipe less sweet, yet it remains tasting bright and refreshing. The addition of more superfoods (high nutrient density foods) in this recipe, provide a sense of grounding as we move forward into fall. Superfoods give you more energy, stabilize moods and allows your immune system to function at its peak.